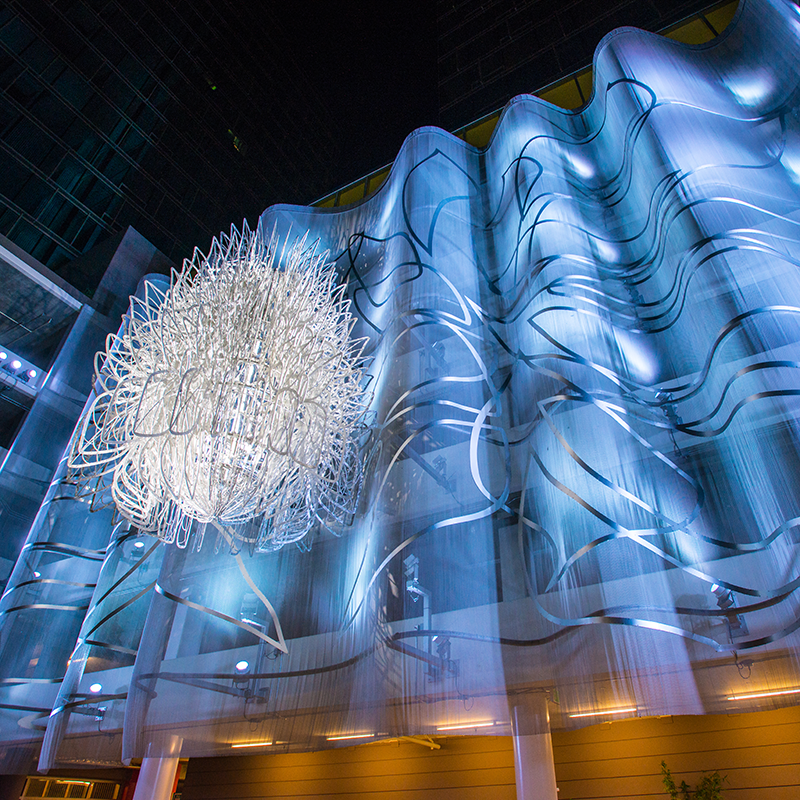 Building facades utilizing Cascade Coil Custom Architectural Systems stand out from their surroundings – a distinct approach to wrapping a building – providing functional protection and aesthetic value. Because Cascade Coil systems are available in unlimited widths up to 40 feet in length, they perform myriad functions for exterior façade applications. Fabricoil gives you far greater design flexibility to meet your specific vision, functional requirements, and budget. For applications like parking garages, coiled wire fabric facades add security to the structure by offering fall protection, as well as providing optimum amounts of airflow for ventilation of car fumes. Additionally, for social or work spaces that utilize large amounts of glass, coiled wire fabric facade elements provide solar shading to keep spaces cool, occupants comfortable, and reduce glare.